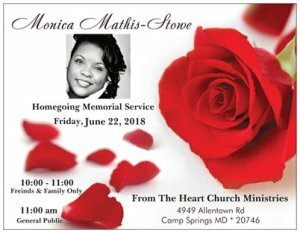 Om Monday June 4, 2018 Monica E. Stowe of Accokeek Maryland passed into eternal life. 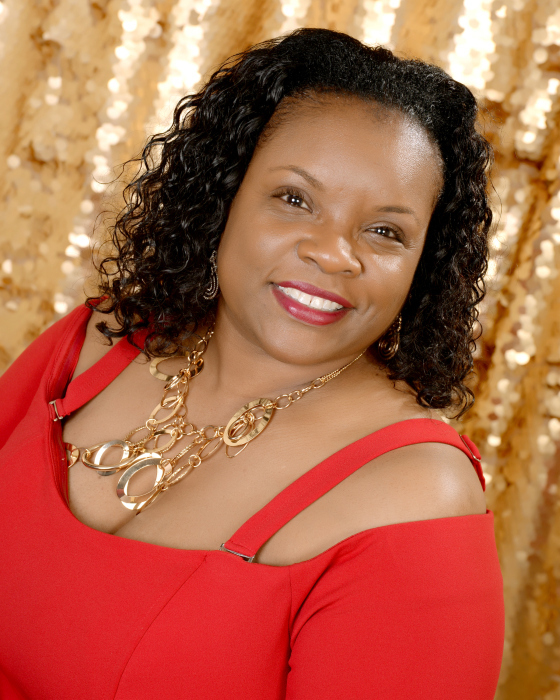 Family will receive friends for a Service of Remembrance on Friday June 22 at 10 am at From The Heart Church Ministries 4949 Allentown Road Suitland Maryland. Interment private.